Shippers: Are you constantly referencing which shipping container dimensions you need? 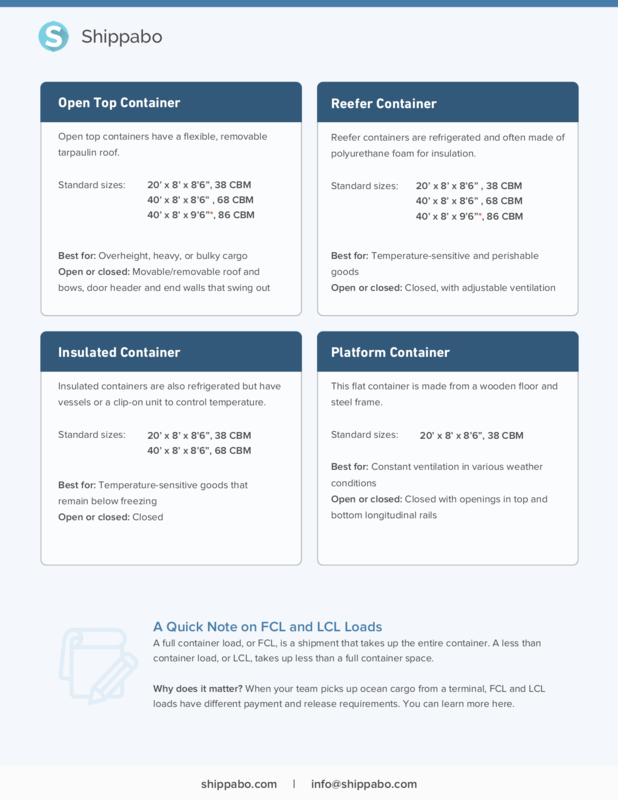 We documented the container dimensions commonly used in ocean shipping. Bookmark it for easy access. Or, better yet, print the reference sheet and keep it on your desk. 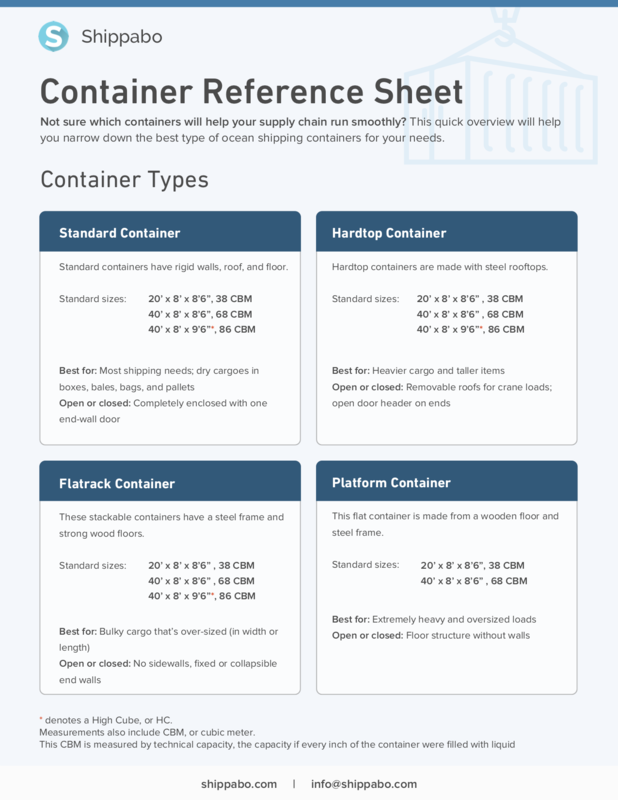 This container reference sheet is part of our free toolkit. It includes four handy resources to help you optimize your shipments. Standard containers have rigid walls, roof, and floor. Hardtop containers are made with steel rooftops. These stackable containers have a steel frame and strong wood floors. This flat container is made from a wooden floor and steel frame. Open top containers have a flexible, removable tarpaulin roof. Reefer containers are refrigerated and often made of polyurethane foam for insulation. Insulated containers are also refrigerated but have vessels or a clip-on unit to control temperature. Ventilated containers are similar to standard containers, but are better for ventilation. A full container load, or FCL, is a shipment that takes up the entire container. A less than container load, or LCL, takes up less than a full container space. Why does it matter? When your team picks up ocean cargo from a terminal, FCL and LCL loads have different payment and release requirements. You can learn more here.